© 2019 Hang Qi. Built with Jekyll and Bootstrap. I am a Software Engineer at Google AI. 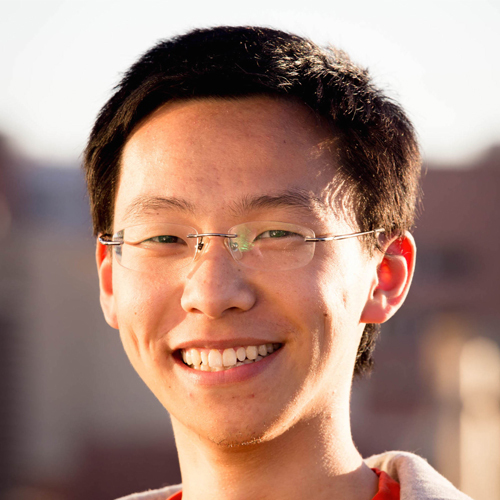 I received my PhD in Computer Science from UCLA in 2018, under the supervision of Professor Song-Chun Zhu. 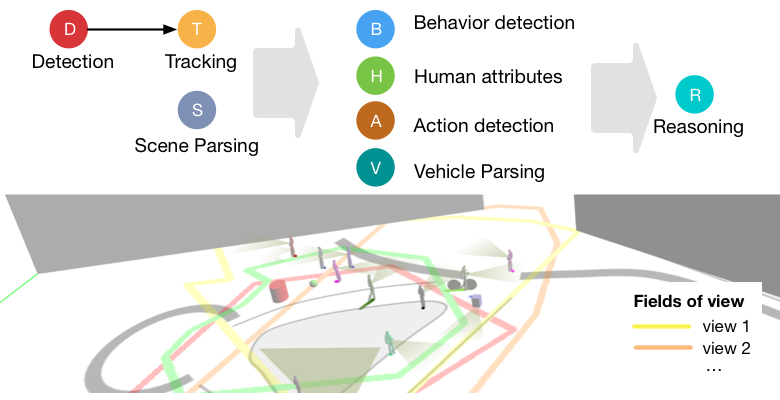 This project features a restricted visual Turing test (VTT) which evaluates computer vision systems' understanding of scenes and events in videos by story-line based queries. We collected a long-term and multi-camera captured video dataset. To perform the test, we built an integrated system consisting of a well-designed architecture, various vision modules, a knowledge base, and a query engine. Paleo is an analytical model to estimate the scalability and performance of deep learning systems. It can be used for efficiently exploring the space of scalable deep learning systems and quickly diagnosing their effectiveness for a given problem instances. Paleo is robust to the choice of network architecture, hardware, software, communication schemes, and parallelization strategies. Runner-up prize for best real-world application at Southern California Machine Learning Symposium 2016. 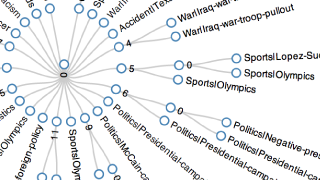 Topic discovery and story segmentation provides fundamental methods for automatically organizing, analyzing, searching, and visualizing the vast amount of news videos available online. In this project, we present a topic discovery and story segmentation framework based on Swendsen-Wang Cuts, aiming at dividing news videos into stories and generating a topic hierarchy to organize these stories. Low-Shot Learning with Imprinted Weights. Hang Qi, Matthew Brown, and David G. Lowe. Scene-centric Joint Parsing of Cross-view Videos. Hang Qi*, Yuanlu Xu*, Tao Yuan*, Tianfu Wu, and Song-Chun Zhu. Paleo: A Performance Model for Deep Neural Networks. Hang Qi, Evan R. Sparks, and Ameet Talwalkar. Joint Image-Text News Topic Detection and Tracking by Multimodal Topic And-Or Graph. Weixin Li, Jungseock Joo, Hang Qi, and Song-Chun Zhu. A Restricted Visual Turing Test for Deep Scene and Event Understanding. Hang Qi*, Tianfu Wu*, Mun Wai Lee, and Song-Chun Zhu. I hosted weekly discussions covering LISP, search algorithms, propositional logic, first-order logic, Bayesian networks, etc. A light-weight Graph library where each vertex and edge can be associated with arbitrarily typed properties. Python implementations of Statistic and Machine Learning algorithms, including linear regression, logistic regression, neural networks, AdaBoost, SVM, LASSO, Monte Carlo, etc. © 2018 Hang Qi. Built with Jekyll and Bootstrap.